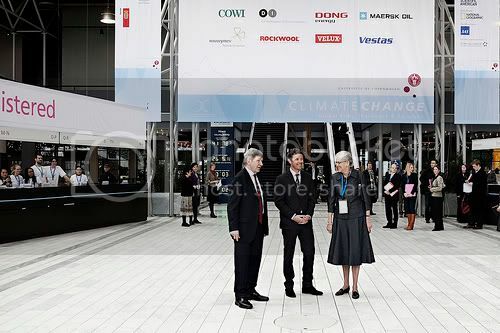 Yesterday Crown Prince Frederik attended the opening of the University of Copenhagen's climate change conference: 'Climate Change: Global Risks, Challenges and Decisions' currently underway at the Bella Centre in Copenhagen. 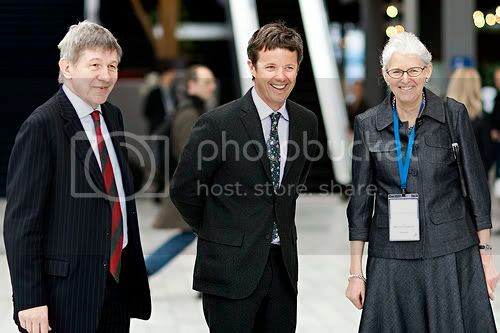 The conference is an interdisciplinary one on climate change with more than 2,000 participants from 80 countries. It results from cooperation between ten of the world’s leading universities in the International Alliance of Research Universities (IARU) comprising the Australian National University (ANU), ETH - Zürich, the National University of Singapore, Peking University, the University of California - Berkeley, the University of Cambridge, the University of Copenhagen, the University of Oxford, the University of Tokyo and Yale University. When in Australia in 2005 Frederik and Mary signed a memorandum of understanding on behalf of Danish universities with the Australian National University, which is now bearing fruit in forums such as these. 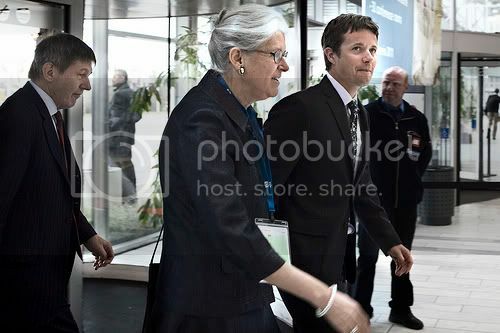 In other news, the court has announced in a press release that Crown Prince Frederik went to Rigshospitalet after the opening of the conference to have an operation on his leg. The cause is a fractured fibula, which the Crown Prince sustained during a sledge ride with Prince Christian and Princess Isabella on the last day of the family's recent holiday in Switzerland. Frederik is expected to be released quickly and to have the leg in plaster for six weeks. It is still expected that the Crown Prince Couple's planned US trip in March will go ahead. Update: The operation went well, and late in the afternoon the Crown Prince had woken from the general anaesthesia. He is expected to be released on Thursday and will have to have the leg in plaster for about six weeks. Official engagements are expected to continue as planned. B.T. reports Frederik was to be released today but will stay an extra day until tomorrow. He will therefore miss an event at Amalienborg Palace this evening. The event is the Defense Force and Air Force's Medal of Honour dinner at Christian VII's palace to present the Defence Medal for Bravery. Mary will be at the dinner and presentation on her own.